Includes ZTE Warp Connect Hotspot with Subscription! Includes Franklin R910 Mobile Hotspot with Subscription! You are responsible for verifying coverage and eligibility before purchase. ALL EQUIPMENT SALES ARE FINAL. This product/offer is only available to students, faculty, and staff. You are purchasing a mobile device ($125) with a subscription ($24.99/month) plus applicable taxes, shipping and handling. The term of your subscription begins upon purchase and expires 30 days thereafter. The credit or debit card you use for this purchase will be charged automatically each month. For subscription cancellations within sixty (60) days of order placement, a $20 cancellation and processing fee will apply. Cancellation fee is subject to change. 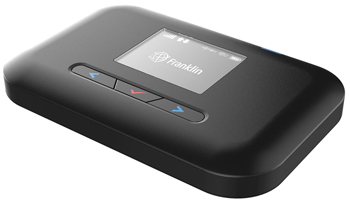 The Franklin R910 Mobile Hotspot gives you a wireless connection, almost anywhere. Connect wirelessly and browse the internet with up to 4G LTE speeds. Stay connected for up to 12 hours. Connects up to Wi-Fi enabled devices. Compatible with Windows, Mac and Linux Devices. Operates on both 3G and 4G LTE speeds for more accessibility. Plus and Play! With auto connect using this device is an easy as plugging it into your computer. Mobile Citizen is providing Customers with a 30 GB+ 4G LTE data-only plan. Your subscription begins immediately upon purchase, and automatically renews every 30 days. Please note: Without these items, Mobile Citizen will not be able to replace your device. Avoid extreme temperatures (e.g. do not leave your hotspot in a hot car). Use the charging cord that came with your hotspot. Do not leave your battery plugged in all the time. This is overcharging. You will overheat your hotspot and cause it to short out which will void your warranty. What is a Mobile Hotspot? Where can I check to see if I have coverage in my area? You may check program coverage by going to verifying coverage and entering your zip code. What is the data limit each month? Mobile Citizen is providing users with a 30 GB+ 4G LTE data-only plan. The plan does not include off-network roaming and it is subject to any standard network management that Sprint may apply to commercial broadband data-only account users. What is the service term? The initial term of each Subscription begins upon purchase of service and expires 30 days thereafter, and is subject to Service availability and any standard price adjustments then in effect. How much is the Mobile Hotspot device? The device is not for sale without purchasing a monthly subscription. The device is available at the current price posted on the product page along with the first month’s subscription fee, plus tax and shipping/handling. The price of each device is subject to change. Can I purchase the device by itself? No. At this time, users must purchase a subscription with the device. Currently, we offer a monthly auto-renewal subscription plan, which is renewed every 30 days. This is subject to change. Is there any discount available for the device or subscription? No. There are no discounts available for this offering at this time. What are the average upload and download speeds for the service? Upload and download speeds will vary based on location within the Sprint service area. For additional information, please contact the Mobile Citizen Customer Support hotline at 1-877-216-9603. Is there an annual contract I have to sign? There is no annual contract. You are able to cancel your service at any time, and we ask you to agree to the Terms and Conditions prior to purchase. For subscription cancellations within sixty (60) days of order placement, a $20 cancellation and processing fee will apply. Cancellation fee is subject to change. We strongly encourage you to review the Terms and Conditions before you make your purchase. Please review the cancellation section in our Terms and Conditions for additional information. Is this offering available to everyone? Can I recommend this to my friends and relatives? This offering is available to community college students, staff, faculty, and administrators of any non-profit educational institution and to any users, recipients, or beneficiaries of the Foundation for California Community Colleges’ non-profit programs or services. If you are unclear about whether you are eligible for this offering, please contact the CollegeBuys hotline at 1-866-325-3222, option 1 so that one of our team members can assist you. I currently have a subscription with Sprint, and I’m eligible for this offering. Can I switch to this offering? Do I need to purchase a device from you, or can I use the device I’m using now? You are eligible to switch to this offering. You are required to purchase the device from our store. If you decide to switch to our service, please remember to cancel your current subscription with Sprint. You are not able to switch to our service if you have an outstanding balance with Sprint. Where can I order the device and monthly service? How long will it take to receive my device? We ship via USPS, which has a 2 to 3 day delivery time. How do I activate the device and how long does it take? The device is active when you receive it, but make sure you first insert the battery and charge it. To access the network name and password, push the Function (FUNC) button at the bottom of the device to find Device Info. I am having connectivity and hardware issues. Who do I contact? For device and technical issues, please contact our partners at Mobile Citizen at 1-877-216-9603.
Who do I contact for device warranty information? Please contact Mobile Citizen’s hotline at 1-877-216-9603 for questions about your device warranty. How do I verify that my subscription payment went through? You will receive a renewal verification every 30 days. Will my subscription be renewed automatically every month? Yes, we will automatically bill customers the current monthly subscription rate every 30 day. When will my card be debited/charged every month for my subscription? We will automatically charge your card on file the current monthly subscription rate every 30 days, so that your service is not suspended due to failure to pay. Can I make my payment in cash, check, or money order? Currently, you may only make your payment by using a debit or credit card. Our e-Store currently accepts Visa, MasterCard, and Discover. Where do I make my subscription payment? I made a payment, but I still don’t have Internet service. What’s going on? Your device was suspended due to failure to pay. When you made a payment, you initiated the reactivation process. We send the PTN number for devices that need to be reactivated to Mobile Citizen once a week, currently on Friday. Once they receive this list, it takes at least 3-5 business days to reactivate the service. Therefore, it can take up to two weeks to reactivate a suspended device. 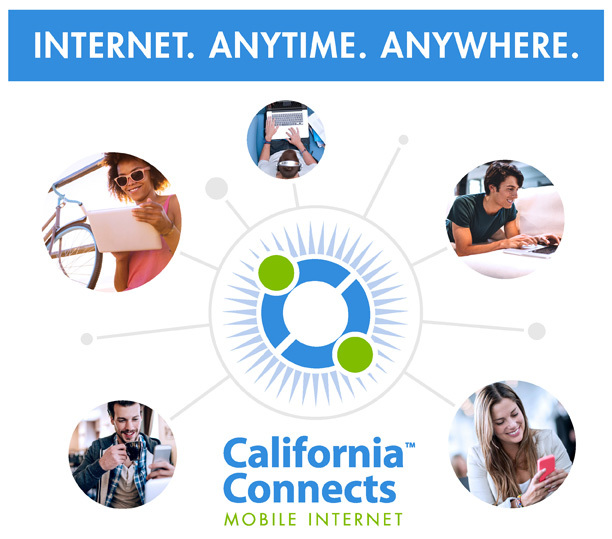 If after two weeks you still do not have Internet service, please contact the CollegeBuys customer support line at 1-866-325-3222, option 1 during our normal operating hours of 9 AM – 5 PM Pacific, Monday to Friday, and someone will assist you. I was told that my card got declined. Who do I contact to update my billing information? If your credit card payment fails, we will send you an email with instructions on how to correct the situation. Or, you can click here and contact the ThinkEDU e-Store and let them know that you were notified that your card was declined and that you wish to update your billing information. To facilitate the process, please have your six-digit order confirmation number ready. I want to use another card for my subscription payment. Who do I call? To update your billing information, contact the ThinkEDU e-Store by clicking here. To facilitate the process, please have your six-digit order confirmation number ready. The payment confirmation email we send you every month contains a link you can access to cancel your monthly service. For subscription cancellations within sixty (60) days of order placement, a $20 cancellation and processing fee will apply. Cancellation fee is subject to change. You can also contact the ThinkEDU e-Store by clicking here. As reflected in the Terms and Conditions (available on the product page on our e-Store), for subscription cancellations within sixty (60) days of order placement, a $20 cancellation and processing fee will apply. Cancellation fee is subject to change. entering into a Customer Agreement with Reseller. which these Minimum Terms and Conditions are incorporated. “Equipment” refers to the modems and other equipment required to use the Service. “Mobile Citizen” means Mobile Citizen, LLC. current Provider is: Sprint Spectrum, L.P. (or an affiliate thereof). Reseller to you under your Customer Agreement, including any associated media or documentation. “TOS” refers to this document, the Terms of Service. to tamper with, modify, reverse-engineer or interfere with the Equipment. days thereafter, and is subject to Service availability and any standard price adjustments then in effect. may apply upon final purchase of Equipment and subscriptions. ALL EQUIPMENT PURCHASES ARE FINAL. unless Customer cancels the Service or provides new billing information. Sprint Coverage and entering the physical address. Coverage “Anywhere” defined as the operating range of the Sprint 4G LTE network within the contiguous 48 United States; coverage may change from time to time at the sole discretion of the Provider. include the subscription paid less the corresponding cancellation fee. Service/subscription as reflected in “Cancellation” section of this “Terms and Conditions” document. electronic receipt, depending on when the reactivation request was placed. digit PTN(s) of the device(s), an electronic receipt will be issued stating the new subscription term. depending on when the reactivation request was placed. must reactivate the device according to the Reactivation process outlined above. Chat or Email @ http://supportcenter.collegebuys.org or http://www.thinkedu.com/support. non-commercial use in accordance with the Customer Agreement and applicable laws and regulations. Citizen and or the Provider. Mobile Citizen have no liability with regard to any failure or lack of performance of the Service. http://www.sprint.com/termsandconditions and incorporated herein by reference. be able to give you advance notice thereof. regulations, the AUP, and the terms of this TOS at all times in the use of the Service. b. To the extent Mobile Citizen has the power and authority to do so, Mobile Citizen will pass through the Reseller any manufacturer's warranty offered for the Equipment. Mobile Citizen does not guarantee the availability of any particular Equipment make or model, whether at the time of Order placement or in connection with replacing defective units, and Reseller understands and agrees that replacement Equipment will be based on then-current availability and may be of a different or lesser quality or functionality. cease all access and use of the Service. RELIEF AGAINST MOBILE CITIZEN UNDER ANY THEORY OF RECOVERY. responsibility or liability with regard thereto. degradations of the Service except as agreed by Mobile Citizen or as required by applicable law. provider. NO MOBILE CITIZEN PARTY IS RESPONSIBKE FOR THE ACTS OR OMISSIONS OF ANY OTHER MOBILE CITIZEN PARTY OR THIRD PARTIES IN CONNECTION WITH SUPPORT SERVICES. The Provider will only provide Support Services for Equipment purchased through Mobile Citizen, through the Provider of an authorized Provider dealer. unused months remaining on the then-current Subscription term. beneficiary of this Agreement and can enforce the terms and conditions to the same extent as Reseller. of Reseller will be void, and Reseller may immediately terminate this TOS without liability.